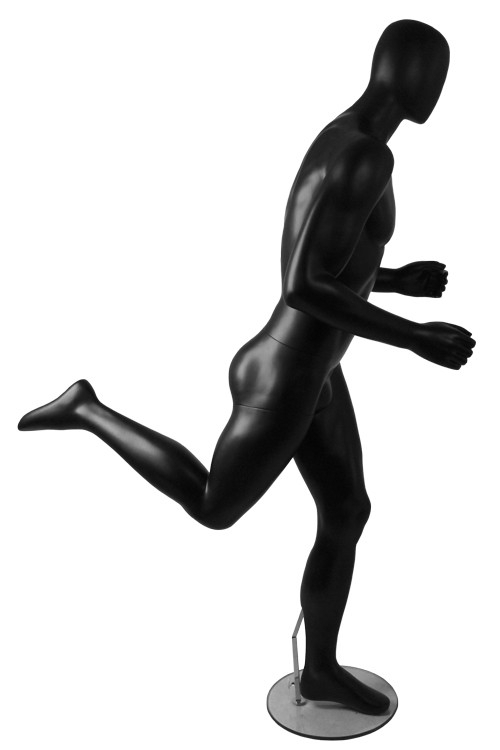 A brand new range of athletic runner mannequins. Manufactured from strong fiberglass with realistic body muscle definition. This athletic, muscular mannequin comes with a abstract head with no facial features. 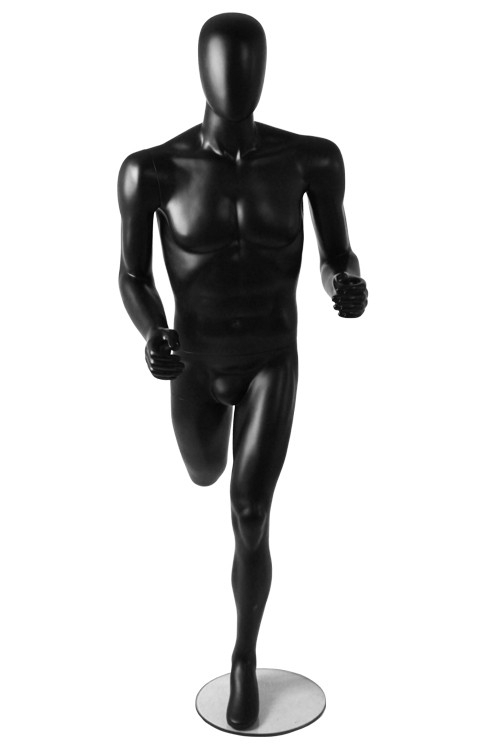 Ideal sporting mannequin for those displaying sports apparel and fitness wear in a running pose. Black Matt paint colour finish. Supplied complete with a heavy duty glass base. If you require a particular sporting pose or colour not advertised please contact us to discuss further - we will produce the sports mannequin for you. Free UK delivery included on this product!